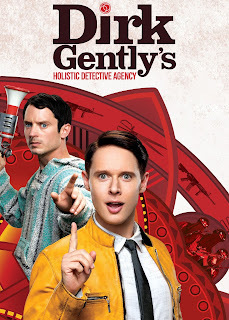 Today I wanted to talk about a TV show called 'Dirk Gently's Hollistic detective agency' that you probably haven't watch, however if you have I'd love for you to talk to me about your thoughts. 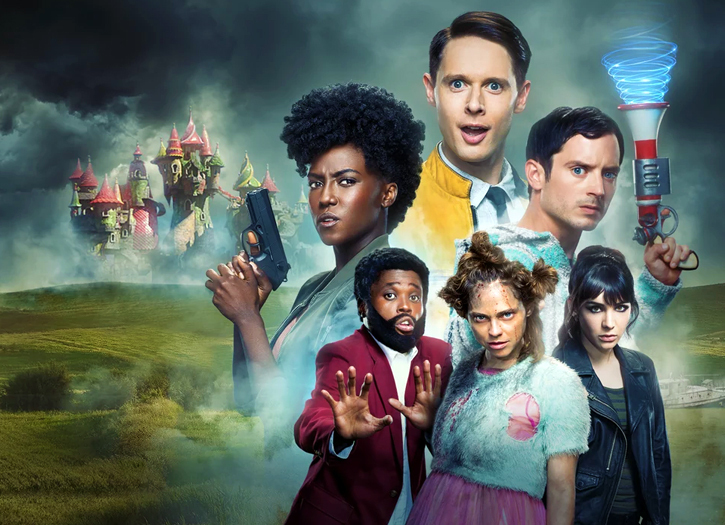 This show has unfortunately been cancelled and very recently I binged the whole second season while revising and felt like I had to talk to you about it because it's so incredible. It's rather like Sherlock and Doctor Who mixed together. It is based of a Douglas Adams book of the same title. 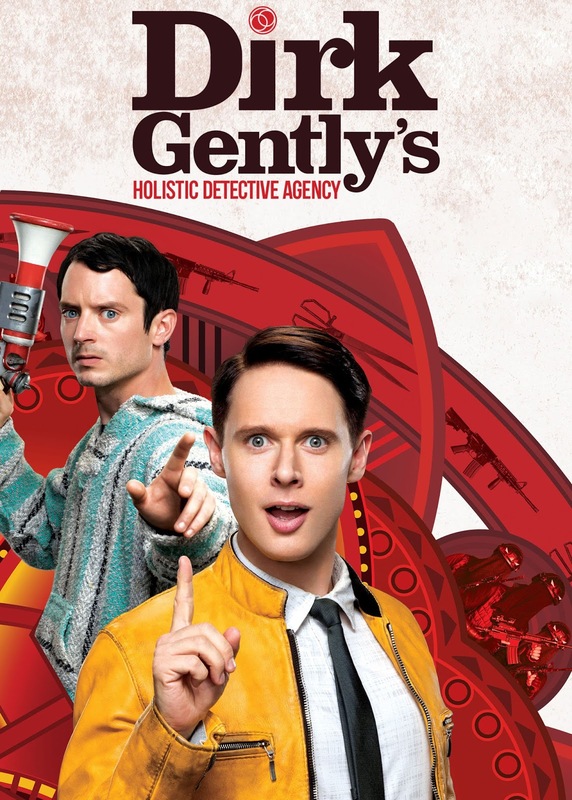 It's a comedy/mystery/sci-fi and it's so good. 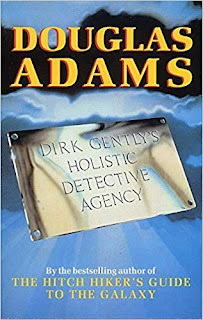 You never know the mystery before the characters work it out and it has genuinely mind-blowing plot twists. 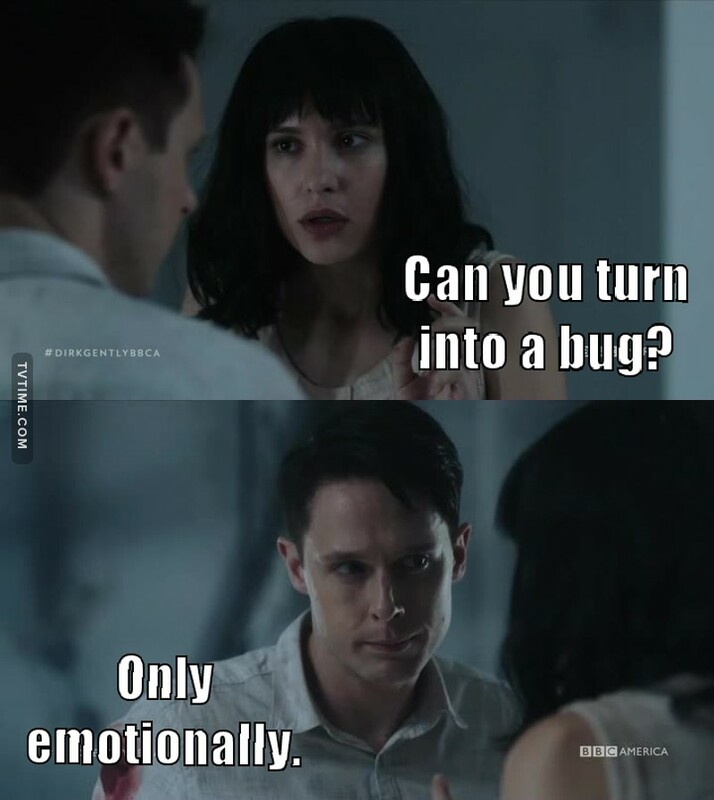 The main thing that makes you watch the show is the characters. They are all so brilliantly human which is really important to me when I'm watching a sci-fi show. 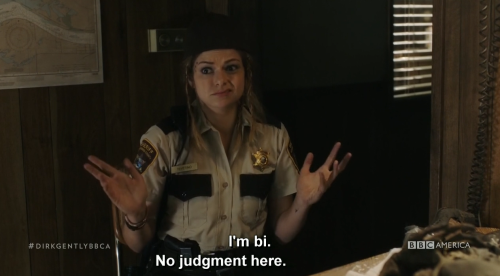 Each character is separate and has a purpose and you love each and everyone of them even really small side characters such as Mona, who is probably in the show for a grand total of 10 minutes. 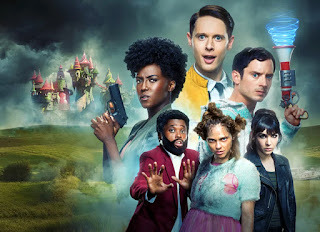 It's also genuinely funny and when I put the second series on after quite a while since watching the first series it made me so happy and felt like coming home which I really didn't expect given the only other time that I've felt this way was when I watch 'Alice Through the Looking Glass'. I'm so sad this show has been cancelled because it's one of those shows that is super important because it has so much diversity, not just in race and sexuality but also in personalities. All the characters are real oddballs and I think anyone who is odd can really feel like they relate to one of the characters, personally I saw a lot of myself in Dirk. It was really good at validating things that maybe you don't feel all too confident in. I hope this has convinced you to watch the show. Bear in mind the first episode is the most confusing thing you'll ever see. You definitely have to be someone who can deal with questions going unanswered for a while but all questions do get answered by the end.